Well, hi there!!!! Today is a very special Color Throwdown Wednesday. 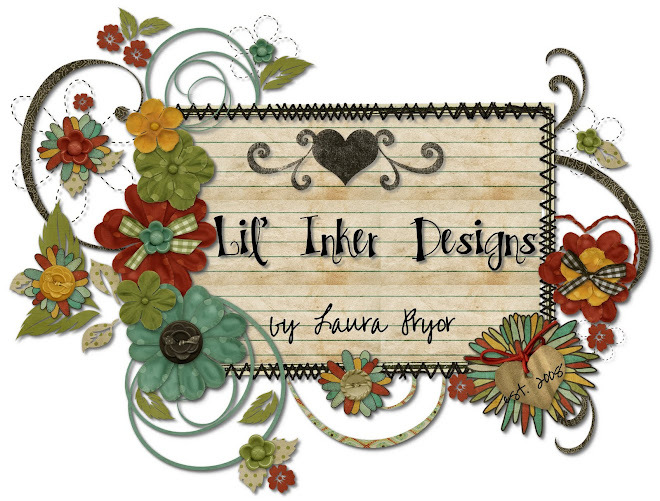 Not only is this week's challenge sponsored by my little company, Lil' Inker Designs, but all my bestest stampy friends are here to introduce the newest release...the Pinwheel Die and Pinwheel Sentiments stamp set!!!! There will also be a prize this week! Read on! Anywhoo, before I get to my project let me tell you a little bit about the pinwheels! The Pinwheel die is a steel rule, laser cut die made in the USA and will cut a variety of mediums (card stock, cork, felt, etc...). One die, will cut one pinwheel *petal* with one pass through your die cutting machine and six petals make a full pinwheel. It's easy and F.U.N. to play with! In fact, I have a tutorial HERE that will show you exactly how fun and easy it is! This die was made possible because of my partnership with Ariana Grant of ag designs who takes my ideas and turns them into computerized graphics ready for manufacturing. The coordinating pinwheel stamp set is a variety of sentiments with a pinwheel theme which can be used for lots of different occasions. The stamps are made of clear photo polymer and also manufactured in the USA. I use the BEST and most reputable companies to manufacture both of these products because we all deserve only the best, right? Right! One stamp set and one die retail for $17.00 plus s & h, but there are other purchase options available. Actually, the 2 die bundle (with one stamp set) retails for $20 plus s & h and it seems to be the most popular option. You will only have to make three passes through your machine with two dies which is nice! Here's a peek at what I did with this week's colors and the pinwheel die and stamps. I used the "You mean the whirl to me" sentiment which will be a card for mom for Mother's Day! I also made this for the SCS Fan Club interactive CT0411! My pinwheel is a combo of papers from two different packs. I really wanted to use the floral from Thrift Shop (OA). Being that it's not double-sided paper (which I find the most fun to use for pinwheels) I cut another set of six petals from this herringbone pattern from the Hattie paper pad collection from My Mind's Eye. I love how these came together. To make this work, I glued the two papers together after cutting them out. Having a long stemmed brad really helped when working with the extra thickness of having twice as many pinwheel petals. Super EASY just a tad more work, but worth it. I think it's fun to mix and match papers from different collections! You likey? I just loved the addition of the satin navy bow to this project! As I mentioned, almost all of the Color Throwdown designers are all working with their pinwheel dies and stamp sets today. Feel free to head on over to each of their blogs and leave them some love! Also this week, I will be giving away a die and stamp set of your choice (Sentiment Flags or Pinwheels)to one lucky CTD participant. You can head on over to my shop to see the Sentiment Flags set which was my first release. How can you be in the running? Well, make a card or paper crafted project with this week's colors. Upload it to an online gallery (using keyword CTD138) or to your blog and then provide a direct link to your project using the linky tool service we provide at the Color Throwdown blog. 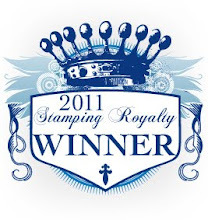 The prize winner will be announced with next week's Featured Stamper post on Tuesday, April 26th. I really hope you love the pinwheel die and stamps. I love them so much!! They're just so fun to play with. I literally have a stock pile of fun pinwheels because I just can't stop! I love both of your dies and sets, Laura, and I hope lots of people get exposed to 'em today and decide they love them, too! Your card is so fun - I love Navy and buttery yellow together! I love, love, love your new pinwheel set! Gosh, they are fun and so adorable to make! You're brilliant Laura! I love the paper you used and your card design today! Can't wait to make more of these! FAB pinwheel. Great way to combine DPs. Love the added NAVY blue Ribbon and that sparkly line of silver pearls. Your pinwheel die is amazing and so much fun to use!! I can't wait for the grandkids to see the finished product. Miles (the 4 year old) will HAVE to make one with me! Thanks so much for sharing with us!! Oh, it's a DIE that you actually cut with a die-cutting machine? WTF? I've been tracing it and cutting with scissors all this time! My bad! DARLING card, Laura! I LOVE yellow with navy! 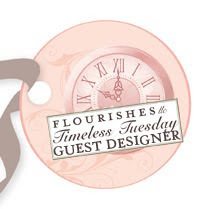 Thanks so much for sponsoring CTD this week with your fabulous products! I LOVE getting to help promote your awesome ideas!